Hi - Anyone know what the "easy care" possibilities would be in this cross, and is black dominant? I don't know Wiltshire Horns well enough to comment in detail but from the BWM's you should hopefully get easy lambing and good mothering. Given that I understand that Welsh Mountain Sheep were one of the primary elements in the development of the Wiltshire Horn the resultant cross should be hardy. Black is usually dominant. I am going to the BWM sale at Abergavenny on 1st September and if no one here can help any further then will happily ask around for you to see if anyone has any experience of the cross. Alternatively the BWMSBA secretary is very helpful. I admit to an obsession with the little black sheep. I fell for them when still a teenager but my late father was adamant that we wanted Dorset Downs and I had a very long wait before I was able to own any. The taste is definitely worth experiencing and I love their alertness and attitude. There's a huge flock of Wiltshire horns near us and the only thing about them that looks easy care is the fleece. Watching a fit young farmer wrestling with a ram thats 40kg heavier is a sight, especially given those magnificent curly horns. One owner told me that the good news was that they lambed outdoors, the bad news that they demolished the building if confined! I think Wiltshire Horns are supposed to have good feet, too. I worked with a variety of ewes including Wiltshire Horn at lambing time on a rare breed farm park and they were no trouble indoors - but being on a farm park they were very used to people about, etc. Alternatively you could try crossing the blacks with an easy care ram - then you wouldn't get the problems with the horns as easy care females don't carry horns whereas the wiltshire females do. The easy care does grow wool but sheds it naturally rather than having none at all. If you want them to shed their fleece then you need two generations to get that trait back. I keep Wilts and the feller that sold me them is working on his own 'easy care' Wilts x Lleyn which sounds promising. So you would have to cross your BWM to a Wilts ram and then the resulting progeny to another (Unrelated) Wilts ram. These would then have the shedding fleece. 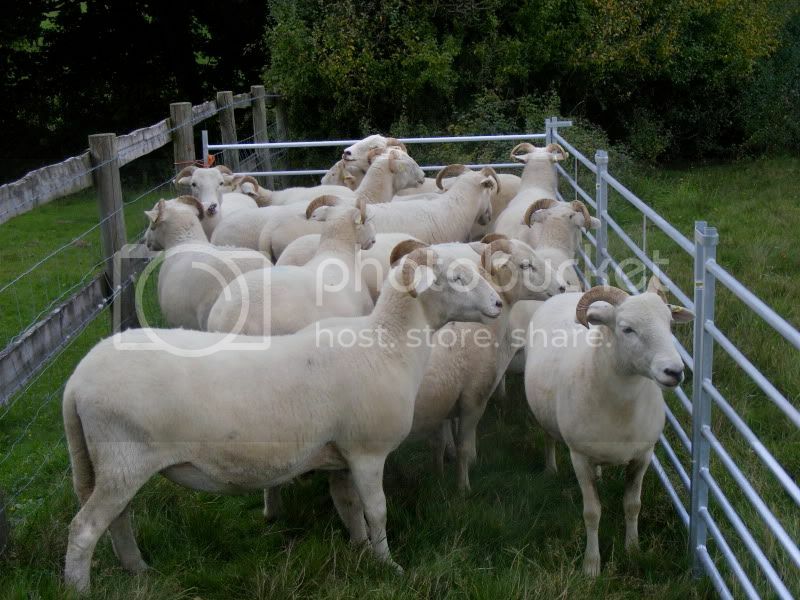 I imagine they would be somewhat smaller than a Wilts, you could then use a more prolific terminal sire, perhaps a Charollais. The 'easycare' traits of Wilts are as follows: Shedding fleece, so no shearing and flystrike is rare (base of the horns is an often overlooked site for flies), Will lamb outdoors in most weathers, good feet, thrifty - will finish on grass, shouldn't need feeding when stocked sensibly (I work on 3/ac, and the landowner takes a hay crop off a third). The down sides to Wilts are: Not very prolific (lamb at about 135%), incapable of rearing triplets (if you ever see them), Very rarely accept a foster lamb (which isn't that much of an issue with a breed where triplets are rare), difficult to confine and a bit of a git to handle (I don't mind this, but I am a 6 foot feller). 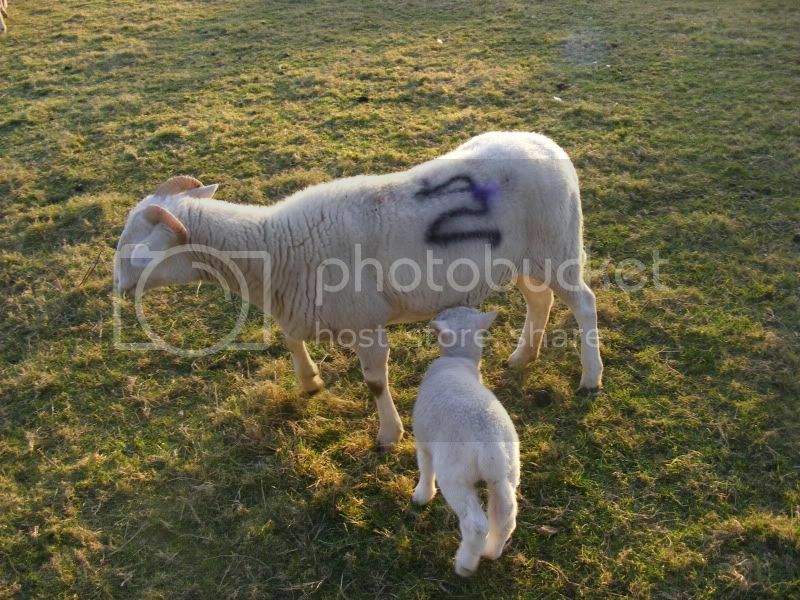 Most outcrossings are an attempt to increase lambing percentages and to make them a bit more placid. I like em, but thats just me, I like terriers too. Pure bred Wiltshire don't have a fleece at all. They do - it grows in winter and sheds off in spring. The wiry 'hair' you see on em is from after shedding - which usually takes place mar/april. Ok, the fleece is not dense like a wooled sheep, but it is definitely there. I suppose you could be pedantic and call it all 'hair' but the winter coat is definitely thicker and softer than the summer one. Photo 1: Late summer, you can see the top fleece just starting to grow on the back of the neck of the ewe in the foreground. I wish I had a photo of the ewes in May/June to hand, they are even less 'fleecy' then. What I was aiming for was a smaller black (possibly horned - not bothered either way) sheep, with the taste/texture of the BWM meat, but with easy care fleece. Hence my question about using a BWM sire and whether I would get mostly black lambs. Mind you I may be able to answer my own question in a few months. I am hoping to get a BWM ram which is carrying a reasonably thin fleece, then..... would I select a thin fleeced black first cross ram lamb and breed back to original females, or will I need to get a Wiltshire Horn ram to go onto any black first cross females. My knowledge of genetics is hazy, hence the questions. So far I have found them an interesting breed to keep, but haven't had to handle them much yet. I was told they are impossible to "drive" and they certainly split, but I have found if they know what I want them to do, they will comply, I use a thin high teeth whistle to signal to my sheep I expect them to move away from me and call them if I want them to come to me, and they picked that up within the first week. Mind you I haven't "done" anything to them yet, so we will have to see. Glad I have found a "Wiltshire Horn" expert on the site. Reading what you were wanting to achieve made me wonder whether a Soay would be a better cross for you than the Wiltshire? Or one of the other primitives that shed their fleece - someone on here will know a heck of a lot more about that than me. Presumably all sheep shed their coats until selective breeding intervened?